Emerging technologies are creating significant waves of disruption impacting economies, industries and societies across the globe. Companies are struggling to keep pace with technological developments, whether maintaining agile business environments to leverage advanced technologies or creating the right risk and compliance strategies to plan and protect against cyber and data threats. The legal industry, while advising clients every day on how technology impacts their businesses, is simultaneously also combatting similar disruption in its own industry. The use of technology is having a sizable impact on the legal sector and embracing these changes is critical to continue to provide clients with the level of service they expect now and well into the future. There are a number of tools already in use to improve efficiency: artificial intelligence to conduct previously time-consuming and manual tasks, such as due diligence work and discovery; automation tools for commoditised tasks; and knowledge sharing and connectivity tools for cross-border, cross-practice teams to collaborate more effectively on large and complex matters. This disruption is happening now with firms increasingly adopting new legal tech solutions over the past two years. In 2016, Clifford Chance partnered with artificial intelligence software provider Kira Systems, which analyses text in contracts, increasing the speed, efficiency and quality of processes. In some cases, an associate can reduce the time for a document review by 50% by leveraging this technology. In addition, self-developed automation tools such as our CCDr@ft work well for simple documentation, such as standard loan agreements. 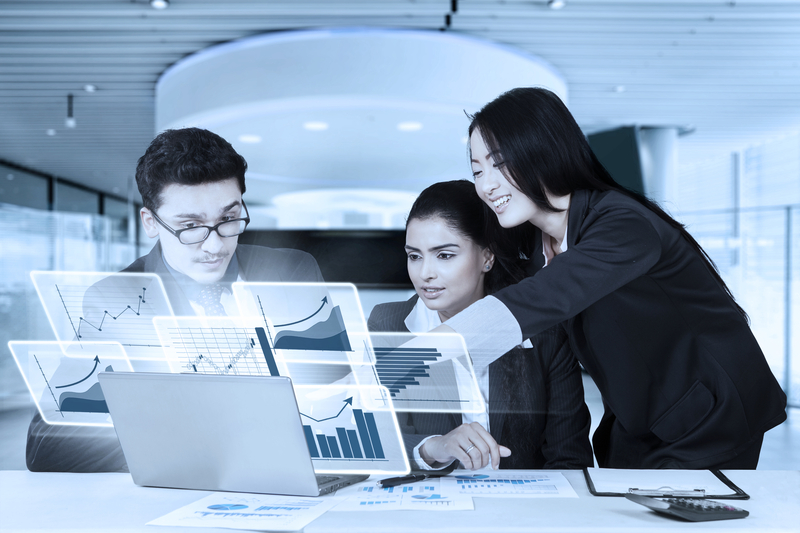 Finally, knowledge sharing and connectivity on transactions using our proprietary CCConnect and WorkShare Transact technologies ensure that all parties have a single location to access and share deal documentation. Clients are noticing the added value and efficiencies. “Having access to all the up-to-date deal documentation in once place is saving us lots of time,” said one lender on a recent deal. In anticipation of rapid technological change in the legal sector, Clifford Chance established the Best Delivery and Innovation Hub for Asia Pacific in Singapore last month, supported by the Singapore Economic Development Board. The forward-looking approach of the Singapore Government, paired with its vibrant technology ecosystem, made it the perfect environment for the hub’s launch. The hub is Clifford Chance’s first outside Europe and the US, and the first of its kind in Singapore’s legal industry. It will act as Clifford Chance’s regional centre to drive more innovative, efficient and robust client service delivery. It will also identify, develop, test and implement new legal technology solutions across Asia Pacific and globally. This initiative will integrate with Clifford Chance’s existing global Best Delivery and Innovation programmes, which ensure execution of the latest thinking, methodologies and technology in its client service. The hub will unite specialists in legal technology, project and resource management, legal engineering, and innovation, who will share the firm’s extensive experience in applying various techniques such as legal project management and our new investments in these systems, and export learnings and applications to the rest of our network in Asia Pacific and beyond. Globally, the firm is expanding its Best Delivery infrastructure and capability across its network, embedding the practice more deeply into its business. With the latest expansion, Clifford Chance will have six Best Delivery Hubs comprising 60 team members in all major financial hubs, including Singapore (Asia Pacific), New York (Americas), Dubai (Middle East), three hubs in London dedicated to Finance and Capital Markets, Corporate, Litigation, Dispute Resolution and Real Estate; and a virtual hub in Continental Europe. What does this mean for our lawyers? The most easily disrupted area of the value chain is the lower, more commoditised end of the spectrum of legal services, such as the reviewing of large amounts of documents. The adoption of technology has elevated the type of work we do and the value we provide to clients. Our people can now focus on higher-level, strategic services, rather than spending time on lower-value tasks. For young associates, due diligence type activities were considered a rite of passage. Now, with these technologies, their focus is on issues of more value to the client. The Best Delivery and Innovation Hub in Singapore creates a centre for driving similar innovation through Asia Pacific. By bringing together lawyers with technologists and programmers, not only can we find solutions to problems and identify how we process information, we can also discover how to provide better and for effective advice and services to clients. Legal technology brings its own set of challenges. New technologies continuously challenge us to understand, test, and deploy them effectively. While our specialised technology advisors help clients navigate technology’s impact on their businesses, our own journey has proven that a willingness to anticipate and embrace changes will result in better service to our clients and ensures that the legal profession evolves along with them. Kai-Niklas Schneider is Managing Partner and Head of the Funds and Investment Management group of Clifford Chance in Singapore. He is a US qualified lawyer with over 15 years of specialist experience in the funds sector and advises clients on the formation of and investment in a wide variety of private investment funds.